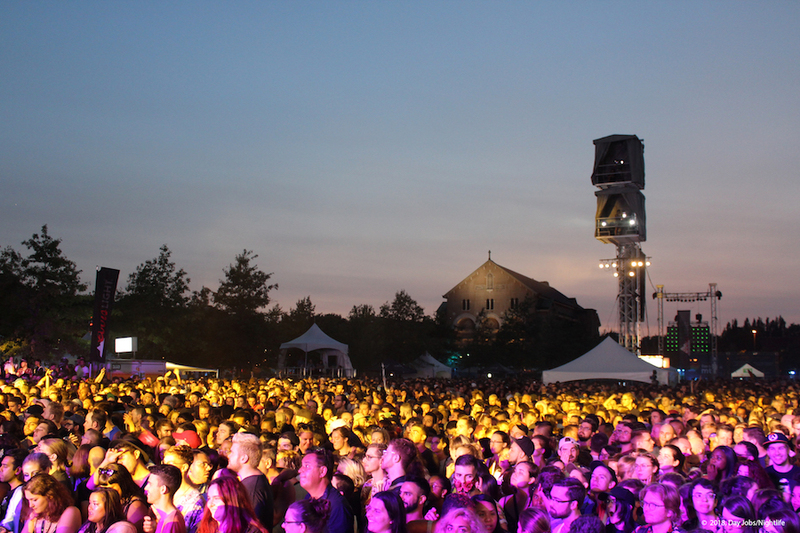 In a city like Montreal, where festival season starts as soon as soon as the frost leaves the ground, it’s tough to know where one ends and where another begins. While some festivals focus on music, others on laughter and others on sports, it’s Pride that encompasses the best of them all and dresses it up in glittery, delightful drag. It’s one of the most exuberant 10 days in the city, and now, a week after the parade, we can finally look back at all the fun we’ve had. 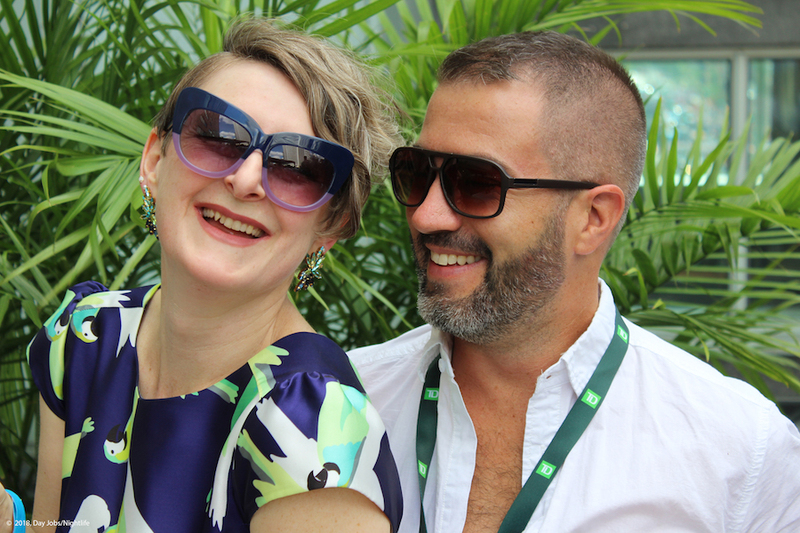 It seems like the momentum we picked up with last year’s first ever Canada Pride, held in Montreal, continued to spill over into this year. A record number of people descended upon our city to take in the ten days of colourful performances, community days, dancing, drinking, eating and more. One of the most interesting shows during this year’s Pride came at the very beginning of the celebrations. Mado, Montreal’s reigning Queen of drag, gave a stellar performance at the Fairmont The Queen Elizabeth Hotel’s C2 rooftop space. 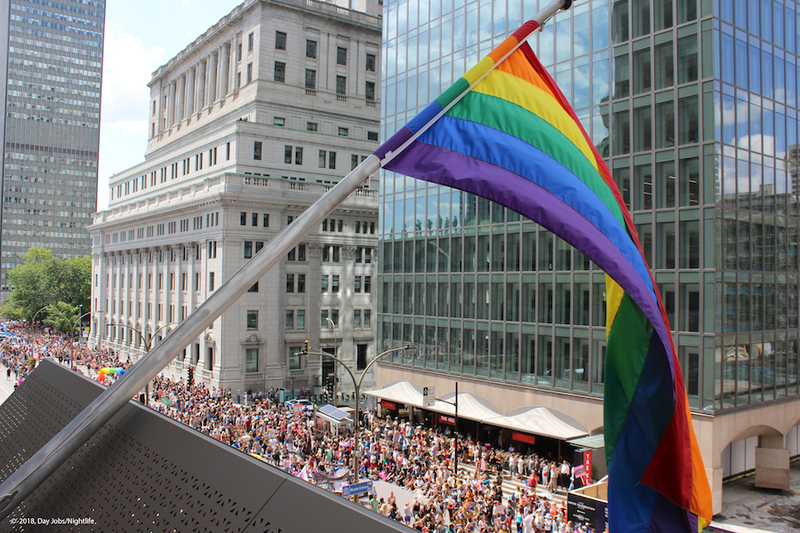 Overlooking the city, where the skyscrapers were decked out in rainbow lighting and projections, it was heartwarming to see so much of the city showing their pride in its LGBTQ population. Mado’s show, as expected, was a showstopper. She brought her A-game to the stage with musical performances, biting comedy and above all else, heart. 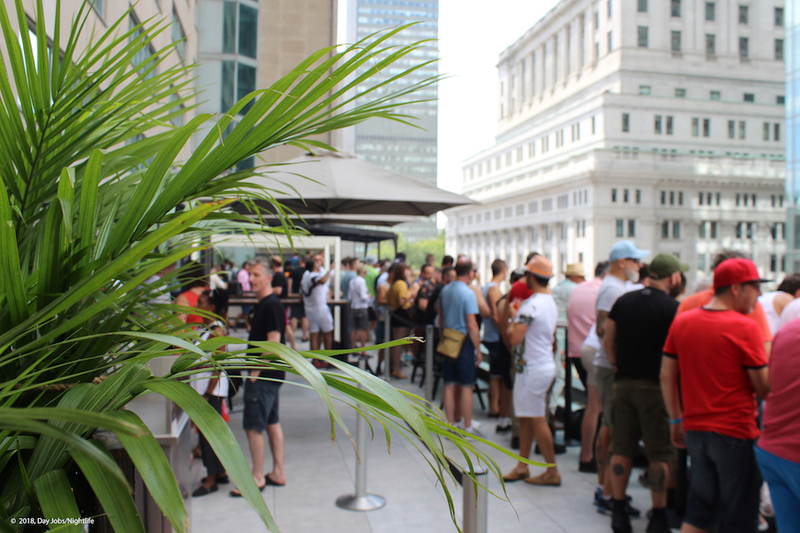 Since reopening after a stunning renovation, the Fairmont Queen Elizabeth has positioned itself as a frontrunner in celebrating Pride. Their dedication to this community is to be commended. The next few days followed with more drag shows featuring local queens, Barbada, Michel Dorion and more. Theatre, music, art exhibits, DJ sets and more gave visitors and Montrealers alike plenty to do during the weekend. As the week progressed we came to one of the most highly anticipated shows of the week, Drag Superstars. For the third year in a row a selection of the queens featured on RuPaul’s Drag Race came to strut their stuff on stage in front of a massive crowd that keeps growing every year. Bianca Del Rio hosted this year’s show and didn’t disappoint. Her biting comedy is shocking, refreshing and above all else smart. I remember thinking that we may have to do an exorcism to get Joan Rivers out of her body – but then, why would we want to do that? That would be no fun. Queer comedians who are not afraid to push the envelope or who hope to freshen their material should take a page from her book. Shangela, Aja, Adore Delano, Ongina, Ms. Cracker, Darienne Lake, Rita Baga, Miss Butterfly, Manny, Pangina Heals, Monet X Change, Kameron Michaels, Bebe Zahara Benet and more all gave stellar performances. This year’s Pride celebration also attracted a number of big names to perform for massive crowds as well. Todrick Hall, Deborah Cox, Samantha Fox and Calum Scott were among those names who gave their all. Everything came to a head last Sunday during parade day. The colourful parade lasted for hours and featured an emotional minute of silence for those who have died from AIDS, those who are living with the disease and our LGBTQ brothers and sister from around the world who are persecuted for being who they are. 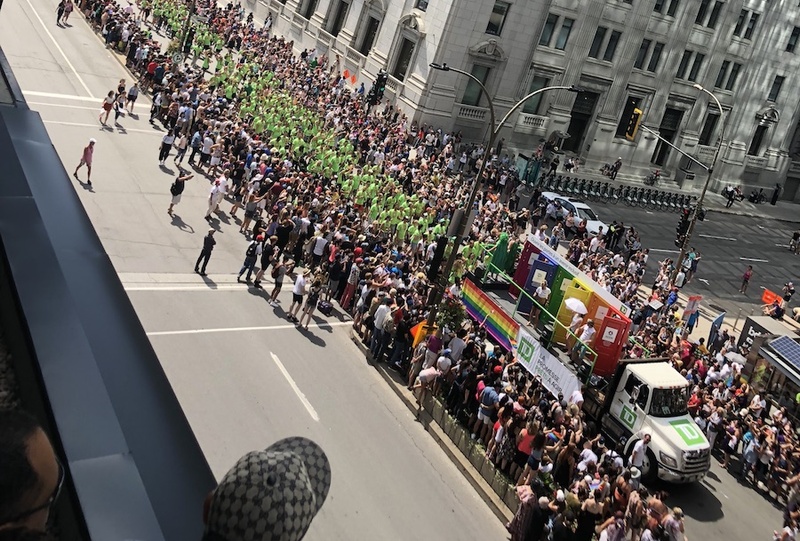 Our Prime Minister, Justin Trudeau walked the parade again this year, flanked by his wife, Sophie and Queer Eye food guru (and former Montrealer), Antoni Porowski. 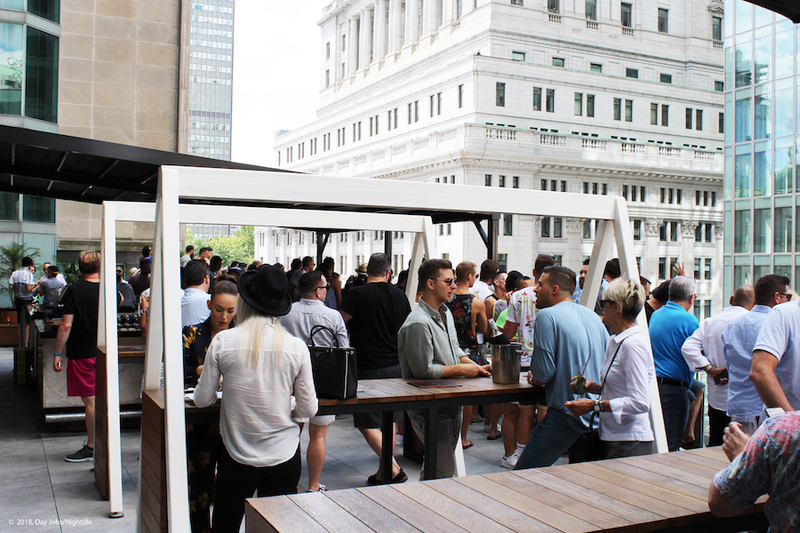 We closed out the day once again at the Fairmont The Queen Elizabeth hotel on elevated Nacarat Terrasse. This is the second year they’ve hosted this party and it’s already become one of the hottest tickets during Pride. Featuring a DJ, cocktails, a BBQ and a stunning view of the parade, this party should be on everyone’s list next year. That’s it for Pride 2018! As always it was an emotional, exhausting, entertaining good time and we can’t wait to do it all over again in 2019!